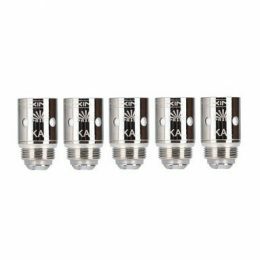 5 pack of Replacement SS or Kanthal BVC Coils for the Slip Stream 2ml Tank. Made with Japanese organic cotton. Unique No-Spill coil swap system. 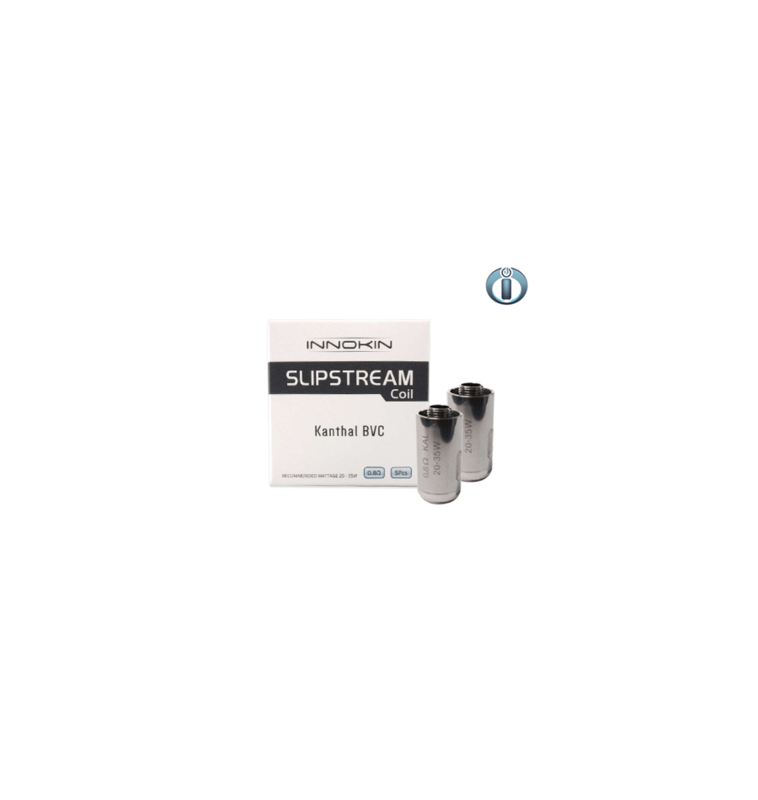 Slip Stream 2ml Tank and Temperature Control Vaping. 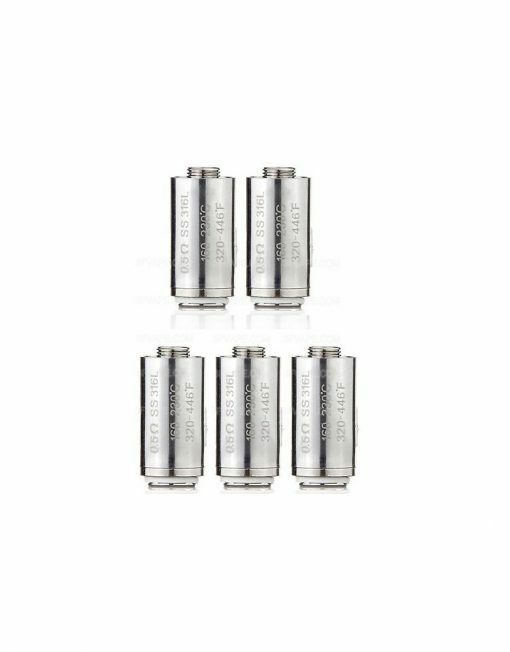 Slipstream SS316L 0.5 Ohm & Kanthal 0.8 Ohm BVC replacement coil features a resistance of 0.5 ohm and includes Japanese organic cotton. Thanks to the “No-Spill Coil Swap System”, they can be replaced in a matter of seconds and without a hassle. 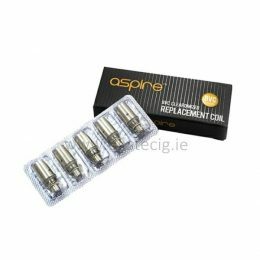 To change the coil, open the base, remove the old coil and replace it with the new one. 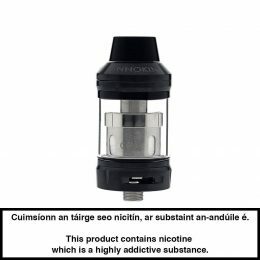 Close the base and the tank is ready for vaping again. 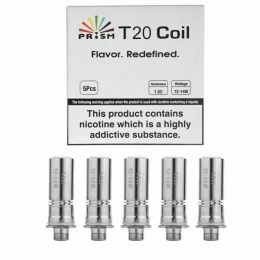 Depending on the frequency of use, one coil will last from 1 to 3 weeks. 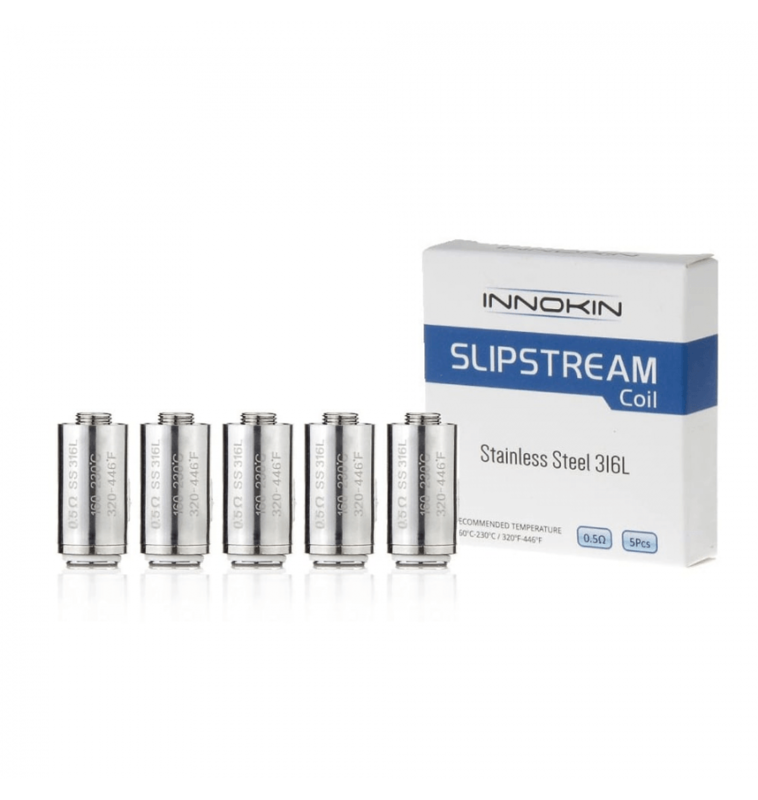 This 5 pack of Innokin Slipstream Coil is compatible with the Slipstream atomizer tank. 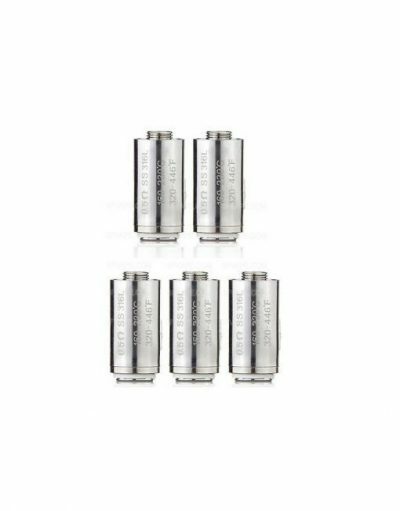 This tank is shipped with Innokin’s Kroma and Pebble, Coolfire Mini mid-power vaping starter kits.